We build/operate the largest aquatic plant harvesters in the world. 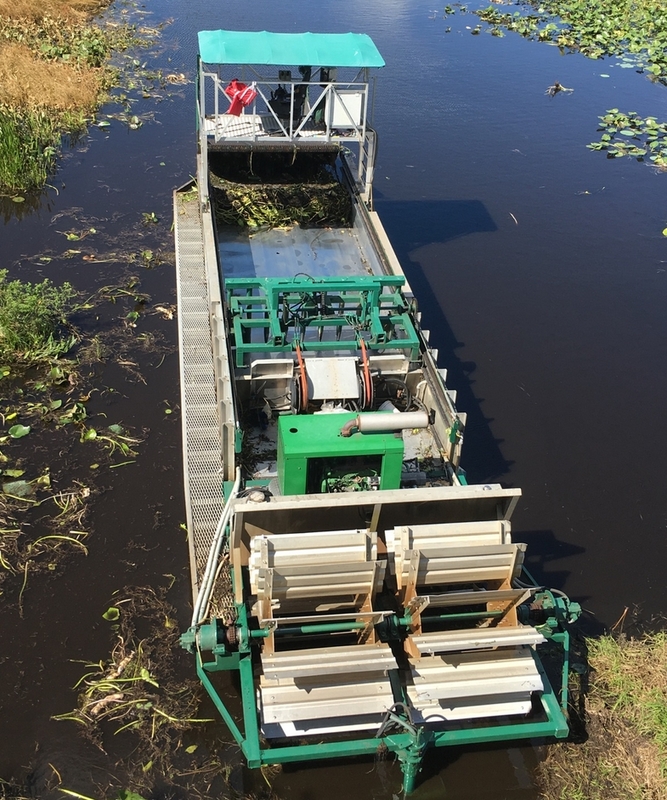 Environmentally safe removal of aquatic vegetation. Improving habitat for fish and wildlife through mechanical harvesting. From design to fabrication and modification, our team can handle any and all of your needs. TAH offers services in fisheries, aquatic plant and habitat management. We buy harvesters and sell both new and pre-owned equipment. No job is too big or small for our qualified and friendly crew. Contact us today for a free evaluation. We manufacture, operate and own our own equipment. Our machine shop with over 55,000 square feet can also handle all of your fabrication needs. We are located in Polk County—the heart of Florida—enabling us to service the entire state from this centrally located point surrounded by the Kissimmee Chain of Lakes on one side, the Green Swamp on the other and the Everglades Park to the south.